When Trinity Kitchen first opened 3 years ago I started to write a post about it. I was overly excited by its opening and I visited quite a bit. The rotation of street food vans and a nice warm place to eat such street food was a novel idea, I loved it. 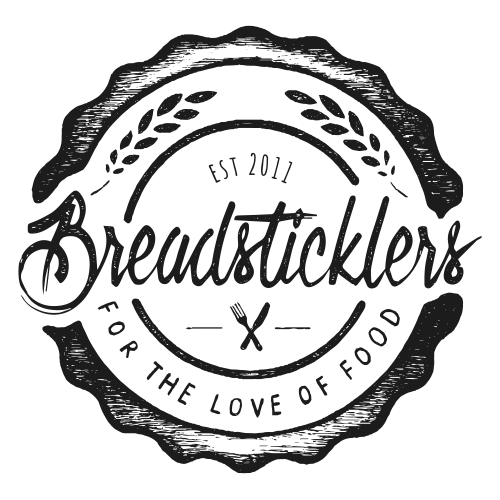 I never published said post because it felt like every food blogger out there was doing so and I didn't think I could bring anything new to the party. It's difficult to review somewhere that changes so frequently, granted they have their permanent fixtures and out of these there are only two I really like, those being Pho and Rola Wala the last edition to call Trinity Kitchen their permanent home. There have been many good street food vans over the years, there have been some pretty substandard ones too. Some are definitely overpriced for 'street food' and sometimes I yearn for something different than the 'burger reimagined'. My enthusiasm for Trinity Kitchen now comes in waves with Instagram being my best buddy in letting me know whether I should pop my head in again. 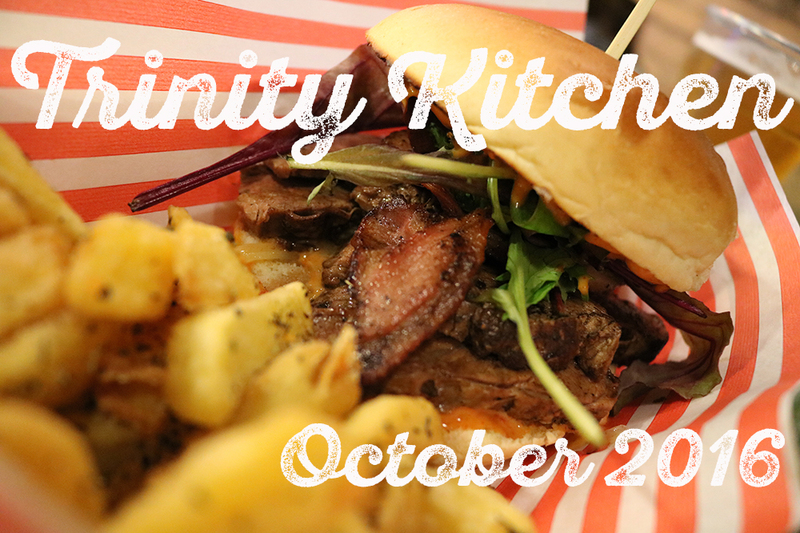 This time however I was invited by Trinity Kitchen (alongside some others) to see what the new rotations involved BEFORE Instagram had even given me a hint of what might be on offer. 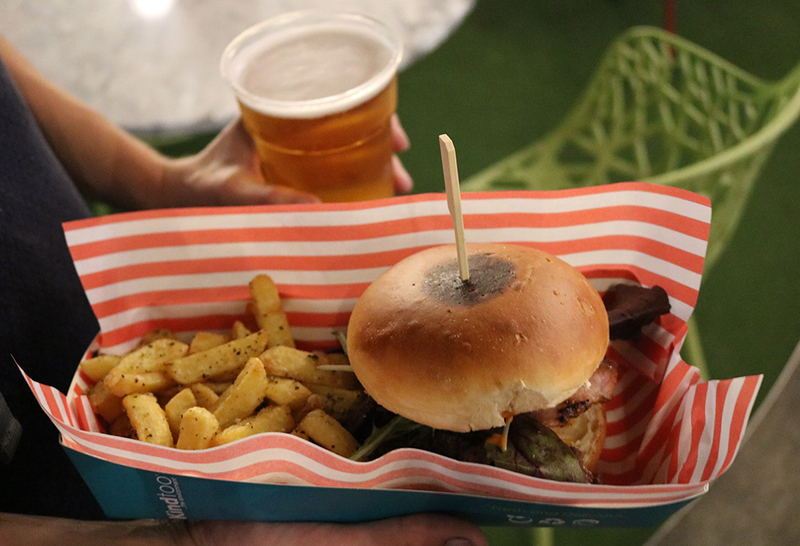 The latest line up will be in Trinity Kitchen from 19th September to 30th October, so sorry if you're reading this post these dates but perhaps a quick peek of their twitter accounts will tell you the van's current locations. 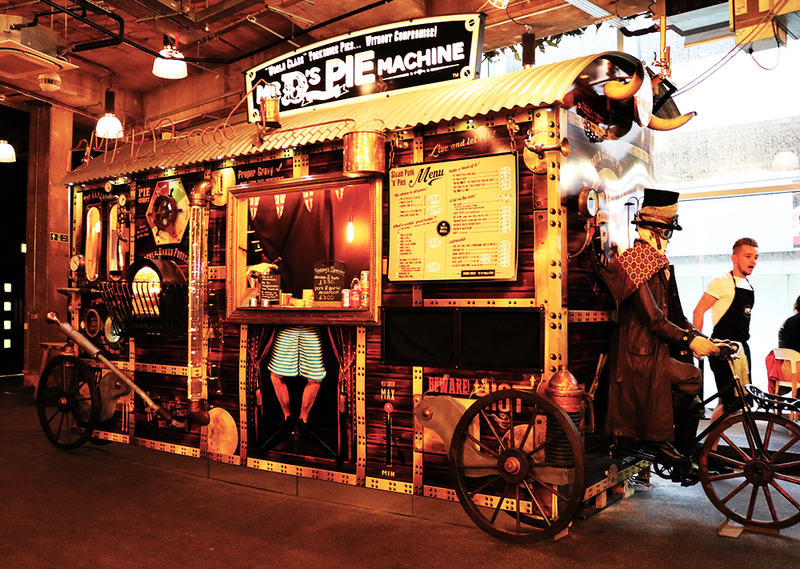 First up is the most beautiful street food van I have ever seen in my life, Mr D's Magnificent Pie Machine. It's a Yorkshire Steam Punk Pie Machine inspired van. There is so much going on you can help but sit/stand and stare at it. Although I didn't try their pie, mash and pies that night I have been reliably informed by a close friend that I missed out as they were spot on. If the temperature suddenly dips I may find myself seeking solace here, everyone needs a gravy cuddle. Sela Bar, famous for their ultra cool bar (well I like it) their great selection of beers (they've introduced me to a few) and their magnificent pizzas (one of my personal favourites) are trying something else... grilled cheese. A fellow Trinity Kitchener tried one of their grilled cheese masterpieces and it looked truly American Instagram. Dirty, cheesy, perfectly American and pretty darn tempting. 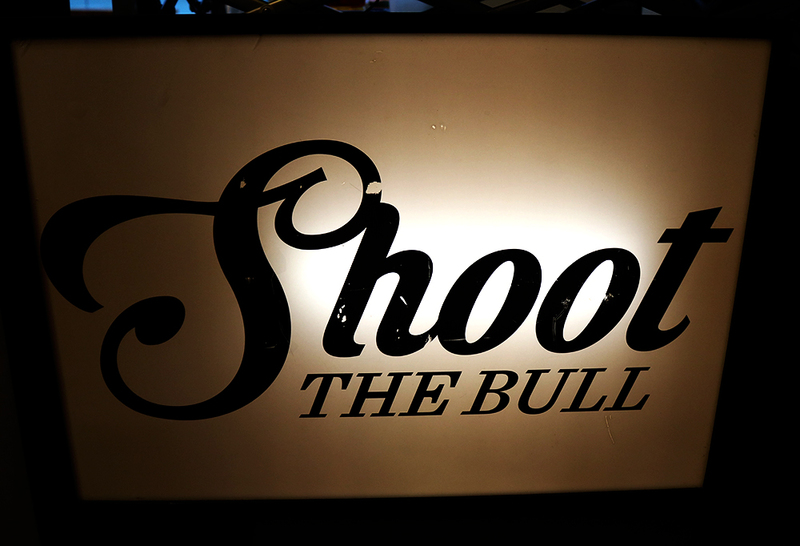 I did try Shoot The Bull, gastro style street food. Always eager to try something a little different when dining in Trinity Kitchen their menu caught my eye. 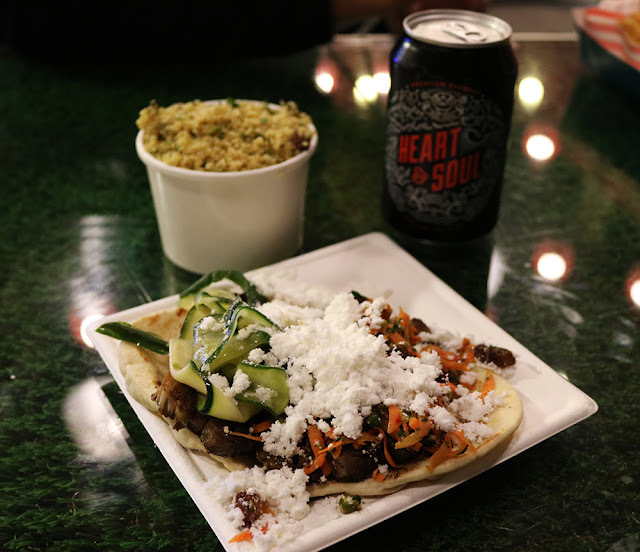 I ordered the slow cooked lamb breast served on a warm flatbread and topped with a carrot and cumin salad, pistachio, minted courgette and cucumber, Ras El Hanut yogurt and mint powder. Plus a side of couscous. It was a bit tricky to eat off of a paper plate with wooden knives and forks, there was far too much going on for me to attempt to wrap it up in the flatbread but it was delicious all the same. I was particularly impressed that they sold cans of Vocation Brewery beer and snapped up a Heart & Soul. The couscous was served cold and D and I both agreed that we would of preferred everything piled on top of warm couscous rather than the flatbread it was served with. The other van I have tried (so far this month) was Steak Out. Steak sandwiches and chips, usually my go to hangover food when I find myself in the pub again the next day trying to nurse my hangover with hair of the dog. There were many Yorkshire Steak Sandwiches that I could have chosen, it was a pretty hard decision to decide on just the one, in the end I landed on the Smokey Joe. Yorkshire steak that has been spiced and smoked topped with smokey bacon (because why would you ever want non-smoked), chipotle sauce and topped with cheddar cheese. We opted for the meal deal which meant the sandwich was accompanied by a beer (on tap) and a portion of herby chips. The steak sandwich was pretty substantial, I could have taken more chipotle sauce and I'm pretty sure D devoured all of the bacon before I got a look in. In terms of cheese, I could think of better to compliment the smokey spice but I guess they do have profit margins to adhere to. The chips were spot on, crispy on the outside and fluffy on the inside with a decent whack of herby seasoning. The next van on my list to visit is the creme brulee van, if I hadn't of been in a rush to get back (bathroom refurbishment woes) I would have indulged head first in this little luxury. Think you know creme brulee? Think again. These guys are cray cray topping them with such things a peanut butter, fudge, brownie and all other sorts of naughties. In fact I may have to go back tomorrow... stay posted guys. What has been your favourite Trinity Kitchen Street Van? 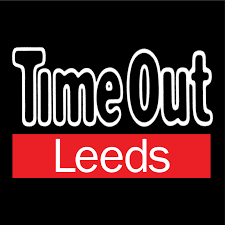 Who is your favourite permanent fixture?